Leah Diekhoff performs a solo in the January 31 contest. The Southridge percussion ensemble competes in front of a crowd. 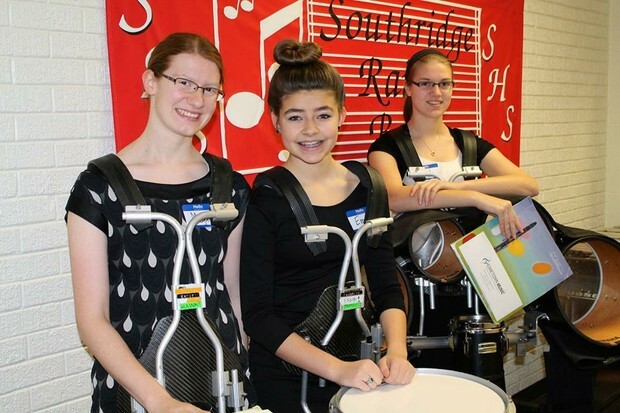 Raider percussionists (from left) Megan Diekhoff, Emma Kinker, and Leah Diekhoff. 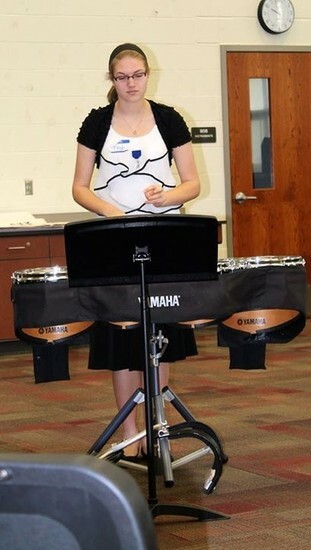 January is Solo & Ensemble time for the band students. 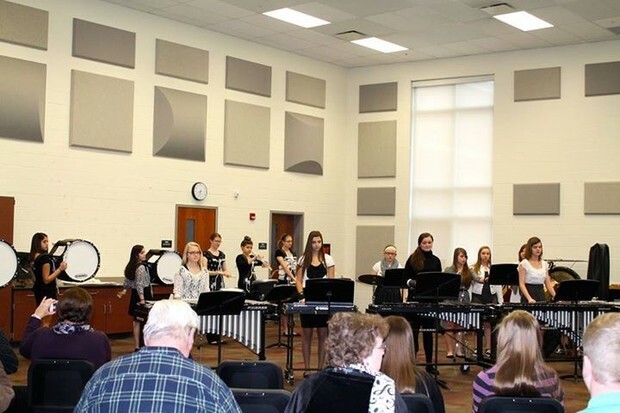 On Saturday, January 31, the SHS band hosted the Indiana State School Music Association District Instrumental Solo and Ensemble Festival. There were over 1,000 entries with 22 area schools participating in this event. Students performed prepared music selections in Groups I-V (I being the most difficult) and received Division ratings. Gold Division (Superior) is the highest rating, followed by Silver, Bronze, and Participation. Southridge Middle School had 22 entries that earned 17 Gold and 5 Silver ratings. Southridge High School had 16 entries that earned 12 Gold, and 4 Silver ratings. Five soloists will advance to the State Festival held at North Central High School in Indianapolis on February 28 in Indianapolis. Congratulations to all students who performed and helped operate the festival. CONGRATULATIONS to the 5 Southridge HS CHORAL ENSEMBLES for receiving GOLD RATINGS at the ISSMA District Solo and Ensemble Contest held at Southridge on February 7! This is the fourth year in a row that ALL ensembles (HS and MS) received GOLDS! 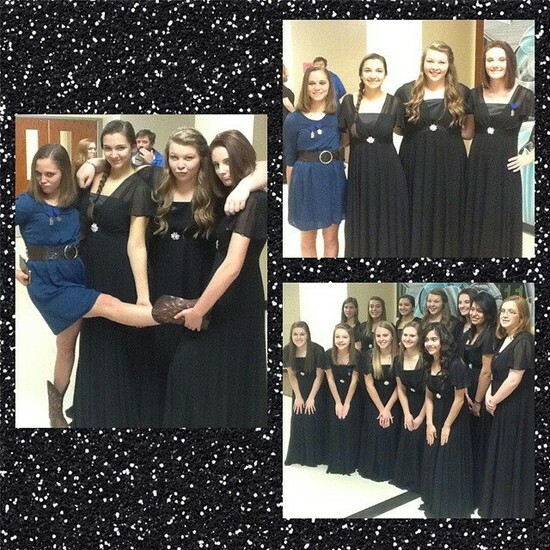 Katie Kendall received a perfect score on her vocal solo. Brayden Wibbeler, Ryan Hill, Courtney Jones and Katie Kendall are headed to State Vocal/Piano Contest in Indianapolis on February 21. Group 3 Ensembles – Girls Choir ‘Nunez’ girls large ensemble received a Gold rating, Mixed Choir ‘Bailey’ girls large ensemble received a Gold rating, Mixed Choir ‘Kemper’ girls large ensemble received a Gold rating, Mixed Choir ‘Sivori’ boys large ensemble received a Gold rating. A SPECIAL THANK YOU TO ALL MY CHOIR PARENTS FOR AN EXCELLENT JOB HELPING WITH CONTEST!! 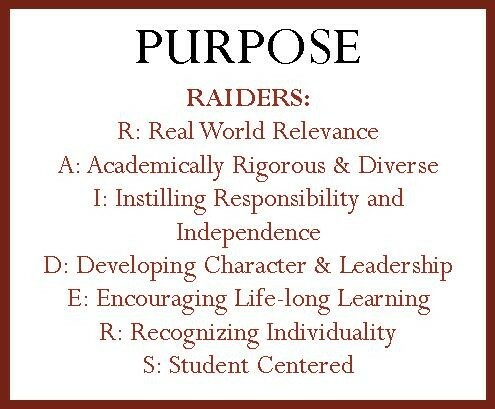 ALL OF YOU receive a Gold rating whether you worked a half day, full day, donated food for the cafeteria or supported your child during the day. 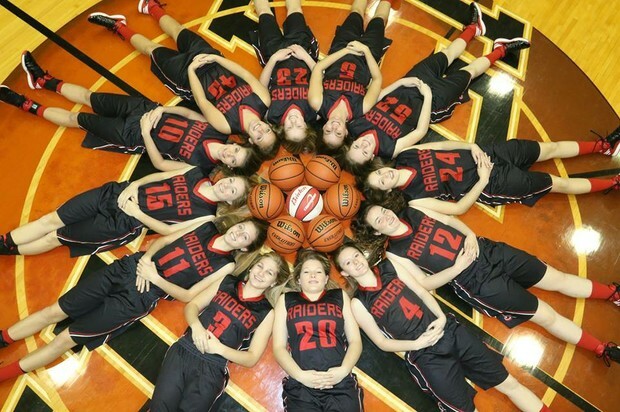 Congratulations to Lady Raider Basketball on an OUTSTANDING 2014-2015 season, finishing with 19 wins and 5 losses. WE ARE PROUD OF YOU! 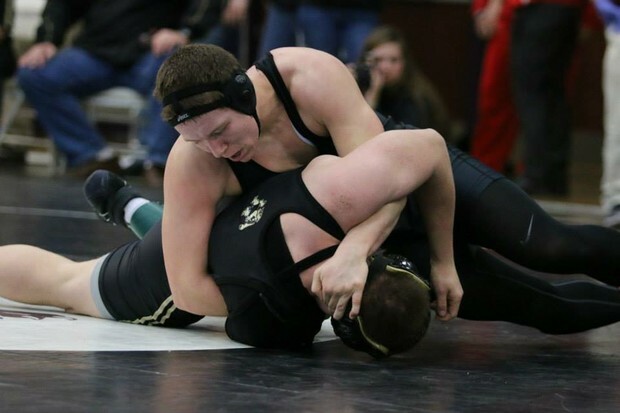 CONGRATULATIONS RAIDER WRESTLERS BRYCE HARTER & MITCHELL MUNDY! 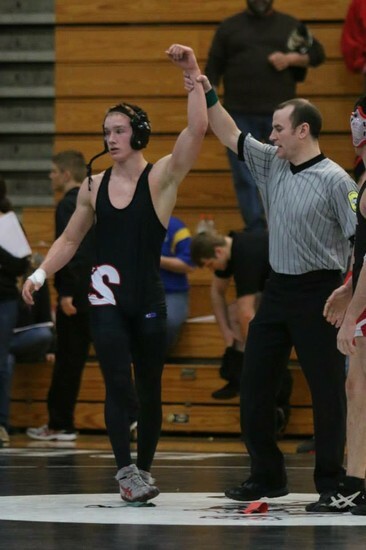 Bryce Harter muscled his way to a second place finish in the IHSAA Regional and will compete in the Semi-State Tournament on Saturday, February 14 at the Ford Center in Evansville. Photos by Karen Nordhoff of Dash Photography. The Raider FCA once again had a large turnout on Monday, February 2nd, when we gathered for a team Bible trivia competition. 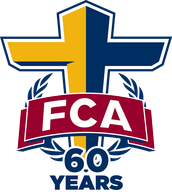 As students entered the room, a small piece of paper was handed to them by FCA President, Henry Steckler. The paper color identified which one of the six teams the student would be on. After the teams were set, Vice-President, Corbin Neu, served as the trivia host of the trivia. Using a powerpoint slide, Corbin projected a multiple-choice question on the board and teams then had 15 seconds to come up with their team answer. After 15 questions, the scores were totaled and the competition ended in a 2-way tie. So a bonus question was provided by Mr. Bardwell, and the Light Blue team came out victorious! A special thanks to Corbin Neu who invested the time to put the trivia together. The Raider FCA will be welcoming a guest speaker on Monday, March 2nd and then will hold an FCA movie day to show the movie "Save a Life" in the SHS Auditorium on the afternoon of Sunday, March 8. 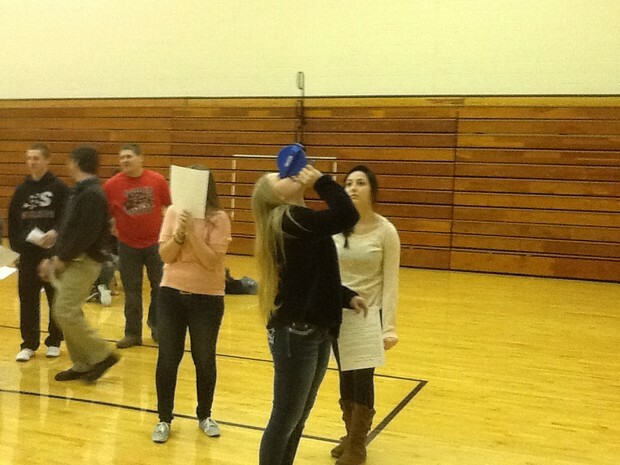 Mia Bedolla (above) and Mallory Peter (below) use an inclinometer to calculate the height of the gym wall. How High is the Gym Wall? In Mr. Lange’s and Mr. Schaefer’s Geometry classes, students were introduced to a real life application of trigonometry. Students had to find the height of the gym wall in the high school gymnasium. This would simulate a forester finding the height of a tall tree. Direct measurement of the wall or a tree is impractical, so students used trigonometry. To find the height of the wall, the students used an inclinometer. The inclinometer gave them the angle of elevation to the top of the wall. Students stood on the basketball court baseline and measured the distance to the wall. This distance is one of the sides of a right triangle. By using right triangle trigonometry, they found a 2nd side of the right triangle. This was then added to the distance from the gym floor to their eyes, which gives them a sum that is the height of the gym wall. Finally, they converted their answer from inches to feet. Students found the gym wall height to be between 31 and 32 feet high barring any miscalculations or inaccuracies. The answer was verified by using another calculation method. 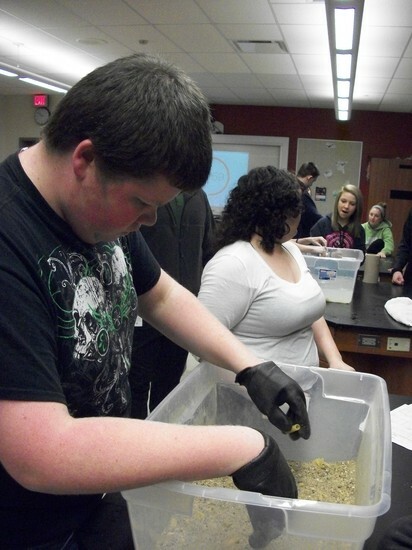 Jared Hildenbrand uses knives as his adaptation in a Biology I lab. 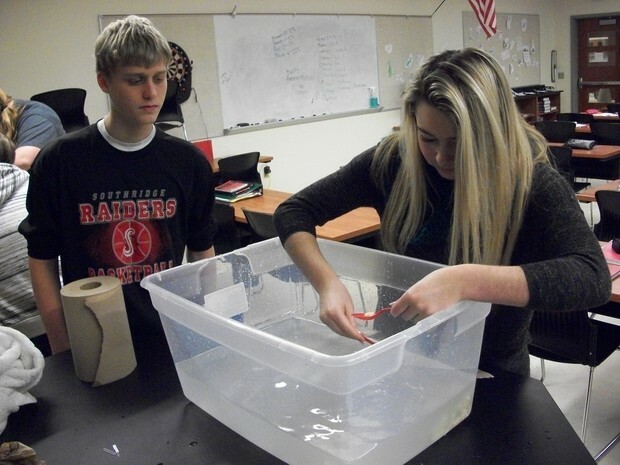 Eli Lubbehusen and Taylor Scott scoop up their prey with spoons as their adaptation device. Jacob Montgomery and Cristina Martin try to reach a level of fitness with gloves and noodles. 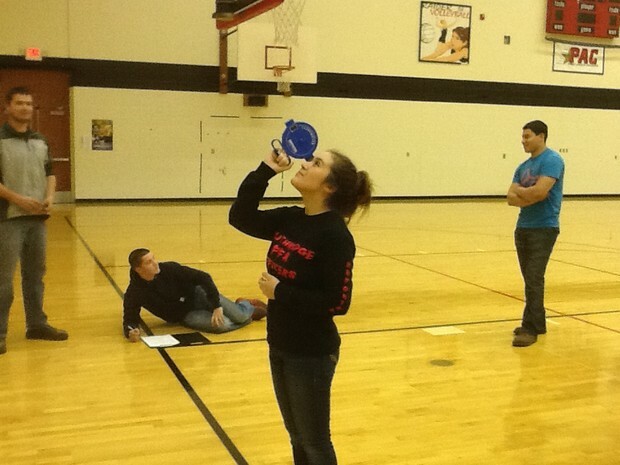 Jenifer Fiallos has a spatula and water to prove her higher fitness during Mr. Wallace's class. 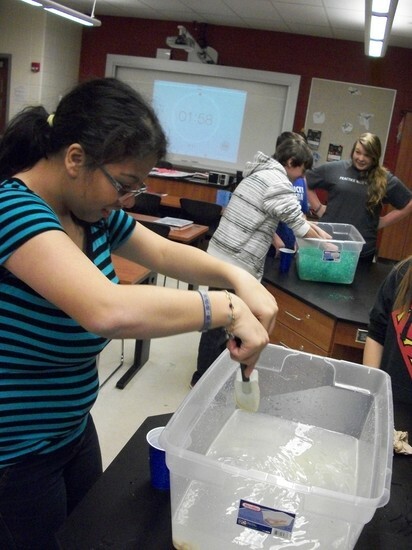 Mr. Wallace’s and Mrs. Boeglin’s Biology classes (pictured above) completed a lab on adaptations and fitness. 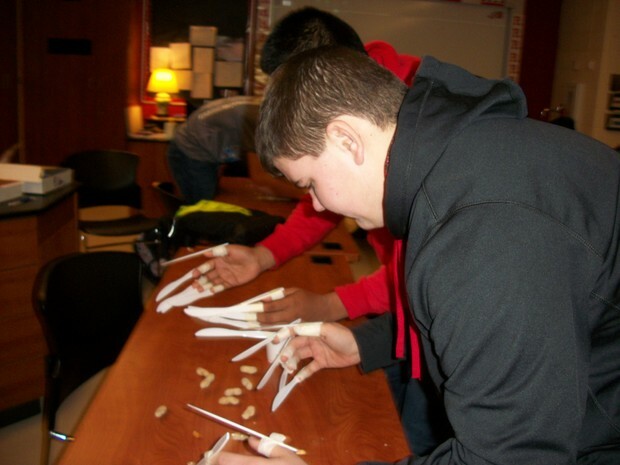 In Mr. Wallace’s classes, students were given an environment: water, sand and grass; adaptations: tongs, forceps, knives, forks and rubber scrapers; and food/pasta: small shells, fiori, rigatoni and bowtie. Each student was given two minutes to collect as much as they could with their adaptations in the varied environments. The cup provided represents the stomach. The more food you eat or collect, the higher your fitness in that environment. In Mrs. Boeglin’s classes, teams were given adaptation challenges; blind glasses, legs tied together, hands tied together in front, knives for fingers, hands tied to their legs, hands tied in back. Students had to pick up peanuts on the floor and put them in a cup. Teams could work together. The teams with the most food collected were considered the fittest. Seniors and parents who need help completing their FAFSA can do so at a free event called College GoalSunday. College Goal Sunday will take place on Sunday, February 22nd at 2pm on VUJC's campus. See Guidance with questions. All Juniors have the opportunity to visit a career fair at Pike Central High School on Tuesday, March 10, 2015 from 9:00 am – noon. The career fair is hosted by Junior Achievement. 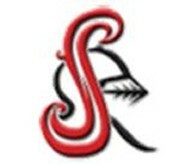 SHS will provide transportation to and from the career fair on that day. 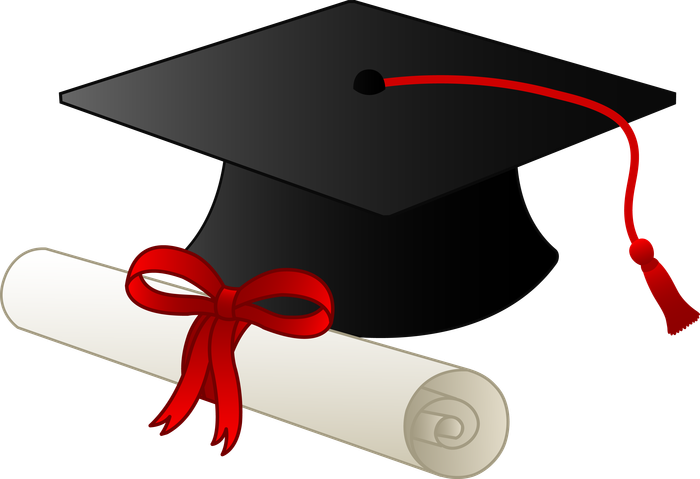 The juniors will receive their permission slips in homeroom on Monday, February 9. In order to attend, the juniors MUST have their permission slips turned into Mrs. Fowler by Tuesday, March 3rd. 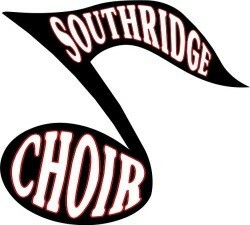 Transportation will be provided by Southridge High School. 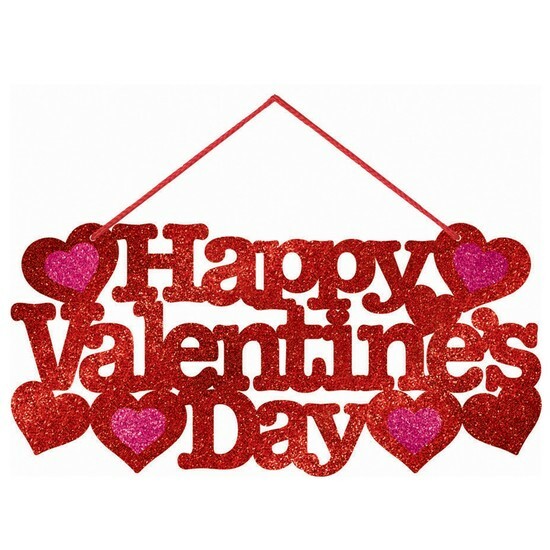 Since busses will need to be reserved, the permission slips, which can be found on the youngwomenlead website, MUST be turned in to Mrs. Fowler, byFriday, February 27. Registration for the upcoming school year will take place in February. The counselors will be talking to the students about their career pathways and course selections. If you have any questions about course selections and career pathways, please contact your student’s school counselor.